Good designs start with a good blueprint. This design is a blueprint, in a sense, and it's a very original take on a classic concept. 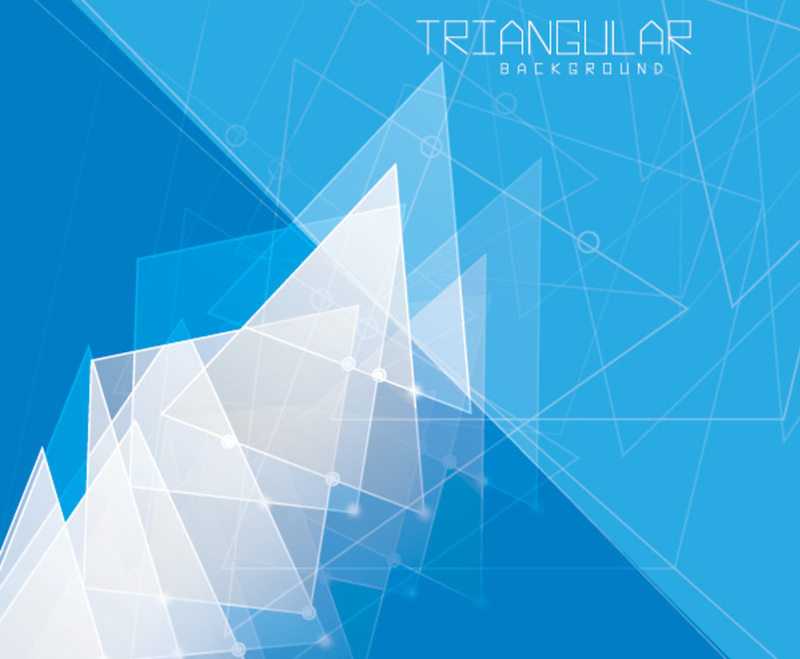 A torrent of triangles pour over a blue backdrop, which is divided by a set of thin diagonal lines. The dark blue section of the image seems much more developed, as the triangles in the top half quickly fade into outlines. A computerized font displays a message at the top of the page. This background references a blueprint, but the modern, angular design keeps things interesting. It's a somewhat futuristic graphic, ideal for building your viewers' excitement.